What a wonderful day! Today, your favorite Ariel and her prince Eric are getting married, and you are invited. Help princess Ariel and her bridesmaids – Jasmin and Aurora to look gorgeous on the wedding ceremony. 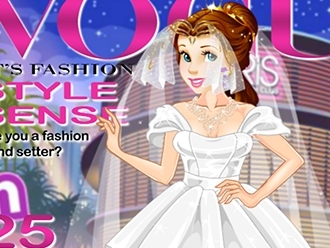 Choose the most beautiful wedding dress, jewelry and hairstyle for Ariel, and do not forget about her bridesmaids. There are lots of beautiful evening dresses, shiny jewelry and fashion hairstyles. You can choose any you want! Create the wedding you would like to visit and share this magical moment with your favorite princess. 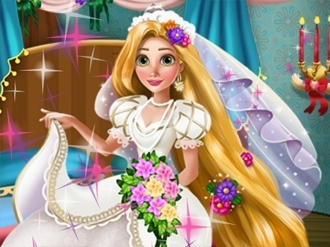 Rapunzel just got married and she is ready to go on a beautiful honeymoon with her husband. Be their personal designer and decorate the wedding room as romantic as possible. Choose the flowers, candles and create the most amazing environment for the newlyweds. 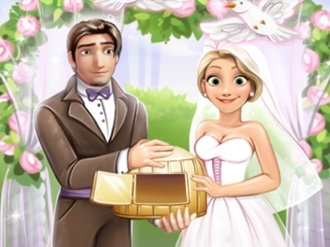 Match everything perfectly and make sure they will have an unforgettable time together! Princess Aurora and her charming prince love each other and want to get married. But their parents aren’t agreeing to the marriage! The prince’s parents have locked him in his room and Princess Aurora is hurrying to help him out. 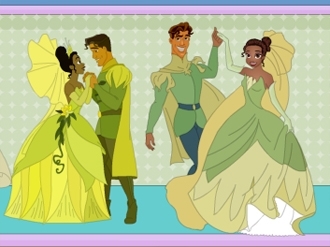 Young princes and princess has decided to get married secretly! 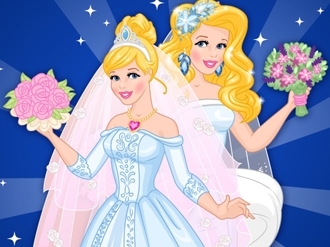 Help beautiful princess Aurora to complete help wedding outlook. Find her a dress, flowers and other important parts of outlook. Then help her to set free the princess and join their wedding!